Imagine if every potential customer who wants to sign up for your product went through the same one—and only one—sales rep. You'd probably want to hire the best sales rep in the game to greet your potential customers. The stakes would be high. Your pricing page is the digital version of this one all-powerful, gate-keeping sales rep. All of your potential customers have to go through your pricing page. What they find there could make or break your ability to turn potential customers into actual customers—and your ability to build a successful business. 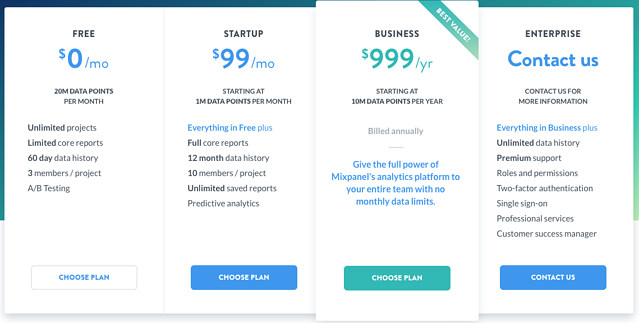 We're looking at the saddest SaaS pricing page of the year because these mistakes are actually very common. You might be making the very same mistakes, but as soon as you recognize them, you'll be able to fix them. You'll learn what doesn't work and what does to create—and communicate—value around the product you've worked hard to build. 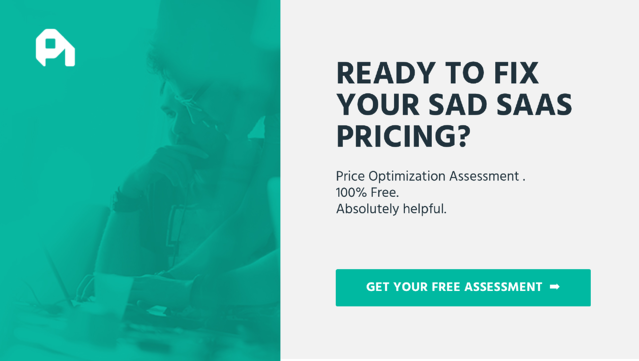 What Makes a Sad Pricing Page? These pages made it difficult for users to understand the value in each plan and figure out which one would be right for them. Pricing pages like these turn customers away. companies don't utilize principles of human psychology in their pages. These pages don't allow companies to be as successful as they could be. 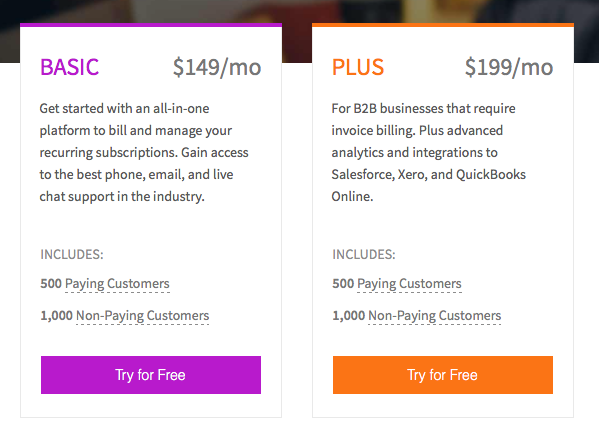 Pricing pages like these cause companies to miss out on valuable monthly recurring revenue. Creating a good pricing page means developing a value-based monetization strategy and communicating it well. Yet McKinsey estimates that 30% of companies' pricing decisions every year fail to bring in the best prices, meaning strategy still has a long way to go. Worse still, Process Street found in a study that 80% of the SaaS sites they analyzed didn't even have a pricing page. They're making transparent communication very difficult. Your pricing page requires thought and planning to avoid this. Consider these pages below and understand what they're doing wrong—and then see how you can do it better to create an all-star pricing page. Now a big note: We don't know what's happening inside these companies. Instead, we're basing the following off what an actual customer would encounter coming to these pricing pages for the first time. 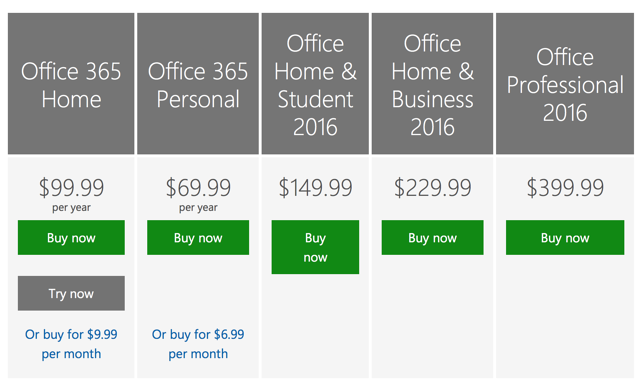 You've probably spent some time looking at Microsoft Office's pricing page. So has your boss, your daughter's second grade teacher, your mother-in-law, and your accountant. It's admirable that Microsoft Office caters to such a wide market, but their pricing scheme is so complicated that they're ultimately confusing their potential customers and hurting themselves. Their's is a case of too many buyer personas. Both sets of plans for PCs and Mac users don't seem to “grow”—the prices aren't ordered in increasing value from left to right. Furthermore the copy in the navigation bar at the top of the page is not consistent with either set of plans (for PC users or Mac users), leaving a potential customer confused as to whether there are even more plans. A buyer looking to purchase Microsoft Office for their home is met with an onslaught of choices across a variety of inconsistently-named and difficult-to-navigate pages. A buyer looking to purchase Microsoft Office for business is presented with an entirely different set of plans and is likely to feel even more confused. The navigation bar at the top of the home page for business pricing shows an array of arbitrarily-named plans that don't indicate what specific value they will provide. The other features 4 plans for enterprise companies. 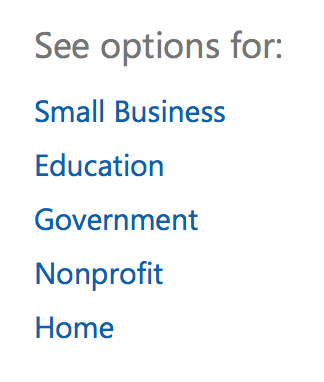 A side bar promises even more options for specific industries. While the “small business” option appears to be the same as the plans for “business” shown above, sure enough there are 2 additional plans for education, 5 for government, and 5 for nonprofit. The option for “Home” redirects you back to the plans for home shown above. This type of pricing scheme can result in analysis paralysis, or the inability to make a decision when faced with too many options. This introduces a major source of conversion friction, because the huge variety of niche tiers actually makes it more difficult for customers to actually choose a plan. This isn't helped by the fact that the information about what is actually in these plans is difficult to compare. The information for just the “home” plans for Mac users is presented on one page in large comparison charts that require scrolling and back-and-forth comparisons. All other comparison tables for other plans are on separate pages that require additional navigation. It's easy for a potential customer to loose track of what features they're comparing and which plan is really best for them. How you can do it better: Talk to your customers to find out what is really valuable to them by asking targeted questions. You can also use MaxDiff analysis to have users pinpoint most useful and least useful features. Then look for patterns and stick to the value that specific buyer personas really want when creating your tiers. Try to name the tiers in a way that indicates who they benefit or what value they provide, and include relevant information in an easily accessible place. 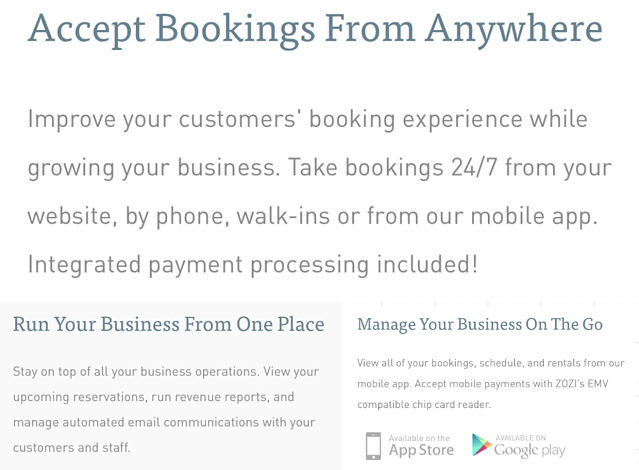 Online booking software Zozi's pricing page attempts to keep things simple. There are short explanations of key features in the copy on the page, which highlights some useful information in a visually pleasing way. And at first glance, it seems that this is all that any potential buyer would need—because there's only one pricing tier. 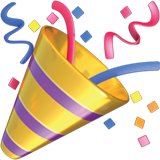 The single tier on the page presents what appears to be an all-inclusive plan. Yet the phrase “priced from $39/month” implies that there is actually more than one monthly price point. It's a mystery how these prices are determined because there isn't another tier to provide a point of reference. Zozi's system scheme lacks a fundamental component of a pricing plan—a value metric around the product's core service. The 1.99% booking fee provides some sort of linear metric by which Zozi can scale revenue from customers, but this isn't the best way for Zozi to capture value. Since Zozi is a booking service, it would make sense for them to scale price with number of bookings. But since the lowest-priced plan includes unlimited bookings, it's clear that prices for more expensive plans won't be determined by that kind of scale. Zozi could better capture value by considering a pricing plan like that of Stripe, which charges a booking rate of 2.9% and an additional $0.30 per successful charge. Companies that complete more successful bookings can pay for that additional value and companies that complete fewer bookings will correspondingly pay only for what they need. The ambiguity around the possibility of higher pricing and the frank lack of transparency in how prices scale can be detrimental to brand and revenue. Publishing prices aids consumer confidence—so a less informed potential customer might feel less comfortable making the purchase or placing trust in the company. This damages your brand and undermines customer relationships. Hesitancy to purchase can raise a company's CAC and end up being a huge revenue sink. How you can do it better: Default to transparency in your pricing strategy. If you're going to charge companies different prices and potentially include different services in those plans, create tiers that reflect the needs of different buyer personas along a value metric. If uncertainty about your value metric or your tiers is keeping you from publishing, just go for it. Don't be afraid to test different schemes and change it up if it isn't working. 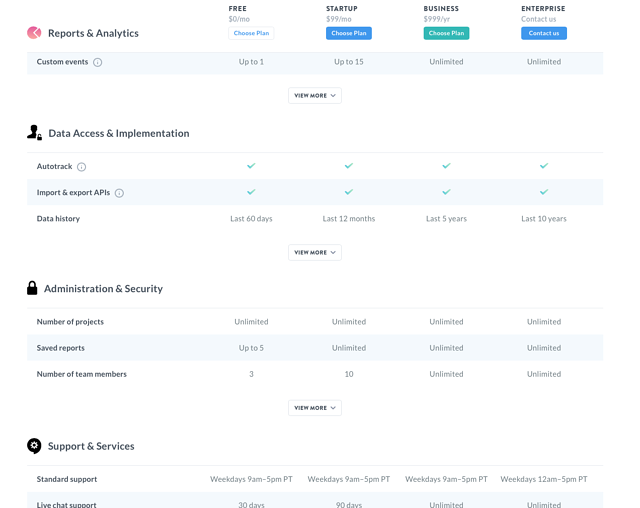 The pricing page for billing service Chargify limits the number of tiers to four to avoid analysis paralysis. These tiers allow for different levels of need and price sensitivity. But though the prices look like they scale with a value metric, they don't work that way. The “Basic” and “Plus” plans are the same except for a few small feature differences. They both include 500 paying customers and 1,000 non-paying customers. This makes it difficult for Chargify to upsell customers from the “Basic” plan to the “Plus” plan even as they grow. Chargify has to rely on the assumption that “Basic” customers will think the few added features in the “Plus” plan are so important that they'll pay more for them. This “Basic” plan mentions features like phone, email, and live chat support that a customer might assume are included in the other tiers as well. But the other plans make no mention of these services. It is unclear if the services in each plan build upon those in the lower-priced plans. A closer look reveals that the number of non-paying customers is the same across all plans except for the custom enterprise plan. Chargify customers might not be getting more of the value they want even as they upgrade plans. And when there aren't clear distinctions between plans, it's difficult for customers to confidently pick a plan. How you can do it better: Make the differences between your plans as clear as possible. Don't rely solely on features to differentiate plans (like “Basic” and “Plus”) because then it's very difficult to up-sell even as your customer grows. Choose a value metric that aligns with usage so that customers can get more of the service as their need grows. Mixpanel, a mobile analytics software, also uses a four-tier scheme. The plans start at $0 and scale all the way up to custom enterprise-level pricing to capture the entire market. But the pricing breakdown doesn't stop here. 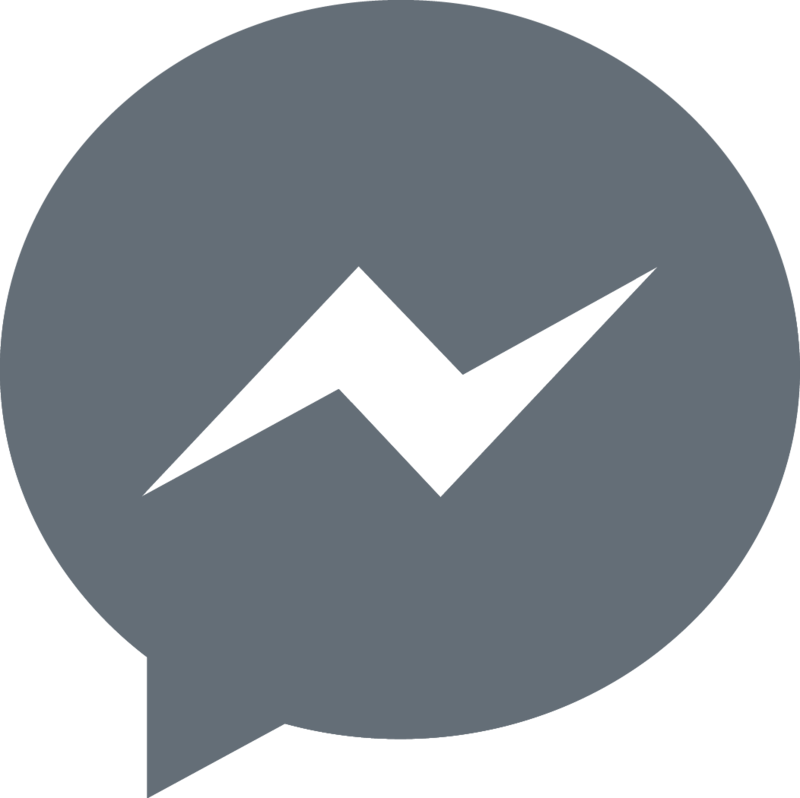 Below these plans are a muddled collection of checkmarks and feature descriptions to further differentiate the plans. It's unclear why some features are included in all tiers but others are not. Some features, like data history access, increase along with an increase in pricing. Other services, like standard support hours, seem arbitrary. The layout of this page is busy, and the packaging is not intuitive. A potential customer would have to read through this entire chart and carefully weigh a long list of pros and cons when assessing the plans. Keeping track of the many distinctions between each tier while trying to make a decision adds a lot of friction to the conversion process. How you can do it better: Make sure the layout of your page is user friendly and easy on the eyes. If certain features are included in all tiers, write about them separately so they don't clutter your pricing page. Help your customers understand your packaging and pricing by focusing on one or two things that differentiate the value of each tier. The pricing page for web security service Detectify implements a value metric well. Its promise that you will “pay as you grow” is affirmed by the simple slider. This value metric is perfect for scaling pricing along with the number of targets. But this strictly linear value metric is costing Detectify opportunity for monetization. Detectify's linear scale would price 6 targets at $360/month. But this tiered pricing model would price 6 targets at $500/month. Detectify could implement a plan like this to better monetize those customers that fall in between tiers. The customer can benefit from this pricing too. If the customer wants to use all 10 targets included in the $500/month plan, they pay a lower unit price per target than the $300/month plan ($50/target versus $60/target). On the current linear scale, 10 targets cost $600/month, or $60/target. Detectify could also monetize by adding (a select few!) additional features as the number of targets increases. This would make sense if customers with more or less targets need different features. How you can do it better: Tiers capture more of the middle market than a linear value metric. You can up-sell customers who may fall in between tiers and give your customers better unit prices as their plans increase in size. Add benefits to those tiers to ease the friction of up-selling and make the up-sell more rewarding for the customer. Think about whether certain features only make sense for larger or smaller customers / plans. The pricing page for user onboarding service Appcues is one of the best SaaS pricing pages of 2016. It is clearly designed for the benefit of the potential buyer. The pricing strategy features four tiers diversified by a clear value metric of MAUs. This pricing page is easy to read and understand at a glance. The tiers have creative names that are memorable to potential buyers. The color palette is limited and cohesive, and one tier is highlighted in a different color to draw attention to that particular plan. Additionally, the prices—according to the value metric—are pulled out at the top of each plan's box. Each plan has a few additional features that are enough to distinguish its packaging but are not so many as to be overwhelming and confusing. They're listed in short, clear phrases and contained in these boxes. The Appcues pricing page is also particularly good at using psychology to humanize the customer's experience and better connect with their customers. They do this by contextualizing the cost-per-customer within these large plans. Appcues takes into account innumeracy—a certain degree of mathematical illiteracy that shapes how humans think about numbers and pricing. It is psychologically easier for someone to think about paying $0.02/customer than $99/1,000 customers. Providing a per-customer price also takes the shock value out of prices like $699/month and gives the actual value of the price point the context it needs. This is how you'll help your customers get the best experience out of your pricing page and, ultimately, convert. Though these mistakes are sad, they all have good intentions and can be fixed with a few changes. We always encourage creating iterations of your pricing page and testing the different versions to figure out what page produces the best results. Pricing is a process, and it's important to engage in those tests and analyses. With research and experimentation these pages above could all be the best pricing pages of 2017. Workshopping your pricing page is exciting. You're going to make the changes that will help you and your customers get more from the value of your product. Who knows—your pricing page could become an example for others to follow. P.S. We're here to help everyone get the most out of SaaS. Schedule your complimentary pricing assessment, and let's start the process of transforming your pricing strategy together.